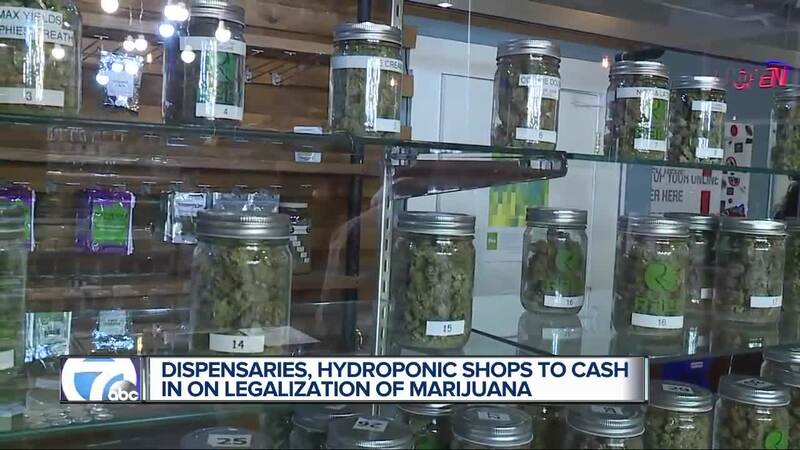 Cashing in on weed, dispensaries and hydroponic shops across metro Detroit are preparing for the future and seeing dollar signs. "We have had 700 calls saying can I come in there and buy recreational marijuana," said Evan Pilot, the Financial Comptroller for THE REEF. More than 24 hours since voters said yes to marijuana in Michigan, local businesses are planning ahead. Cashing in on weed, dispensaries and hydroponic shops across metro Detroit are preparing for the future and seeing dollar signs. "We have had 700 calls saying can I come in there and buy recreational marijuana," said Evan Pilot, the Financial Comptroller for THE REEF. More than 24 hours since voters said yes to marijuana in Michigan, local businesses are planning ahead. "It’s moving the industry forward, which is what we like with recreational coming onboard. I think it’s just a huge leap forward for the industry for the state of Michigan," Pilot said. The future for marijuana dispensaries is good. With more expected to pop up, creating more jobs and unique positions, like bud-tenders and many more. "The number of grow facilities, processing facilities, and provisioning centers, as well as secured transport and testing laboratories, all of those require people in the ground floor every single day, so that will stimulate the local economies," Pilot said. 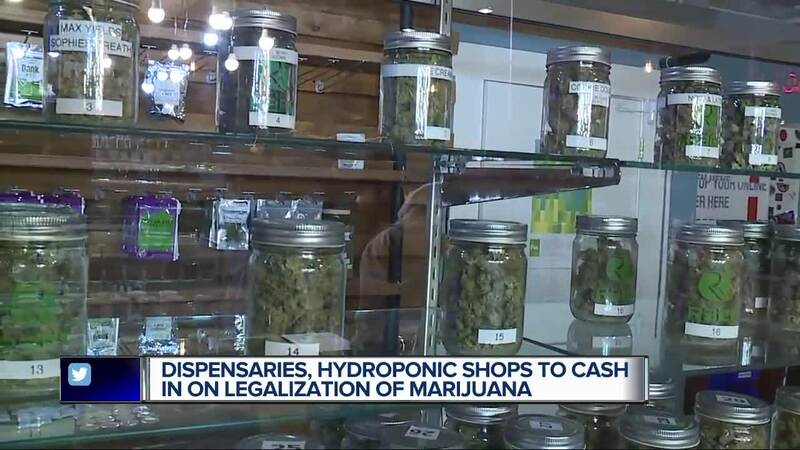 It’s not just the marijuana dispensaries that will see growth in the industry, but sales at hydroponic stores are picking up, with people coming in, grabbing the necessary equipment to grow their own weed. "We’ve had people just wondering about what it’s going to cost to get an indoor garden set up, things of that nature. There’s definitely been some buzz," Gabe Kish said, General Manager of Northern Lights in Madison Heights. Sales are up, equipment soon to be flying off the shelves and it’s a good sign for business. "We’re going to have a lot of people that had a stigma attached to growing, that stigma is gone now, it’s a normal thing. It’s going to be like micro-brewing your own beer. So I do t see anyway business can’t improve," Kish said. You may or may not agree with the legalization of marijuana, but for businesses, they say it’s a good thing. "Just like when prohibition was around, and there was negative stigmas surrounding alcohol, and now it’s so ubiquitous that it’s accepted by a large amount of people," Kish said.